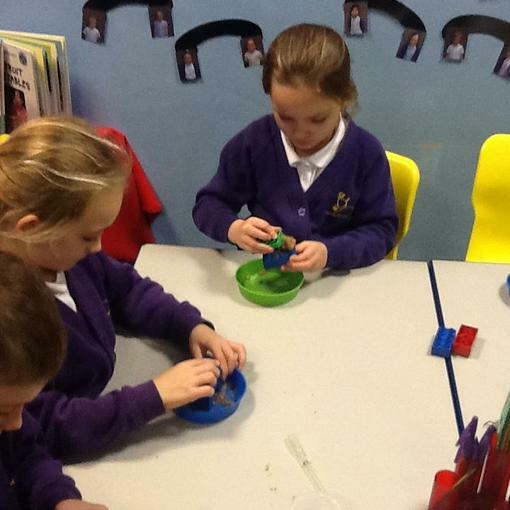 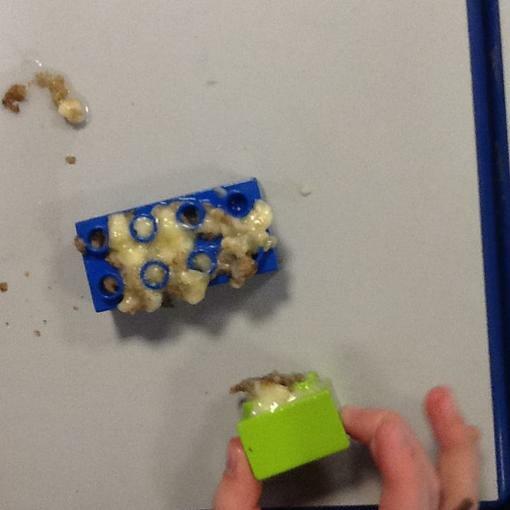 We used Duplo bricks to represent teeth. 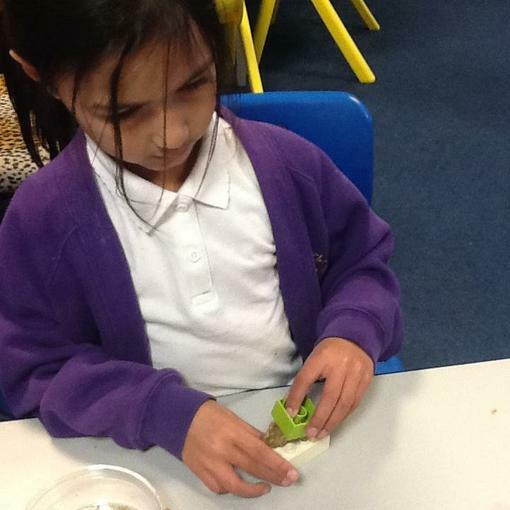 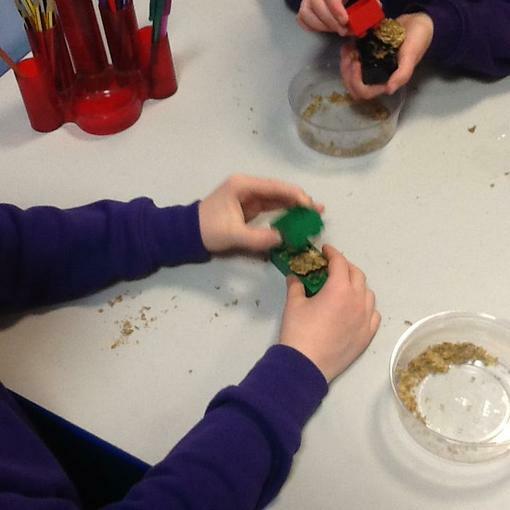 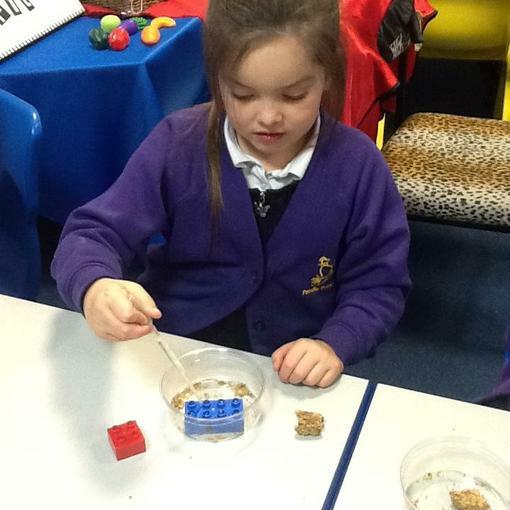 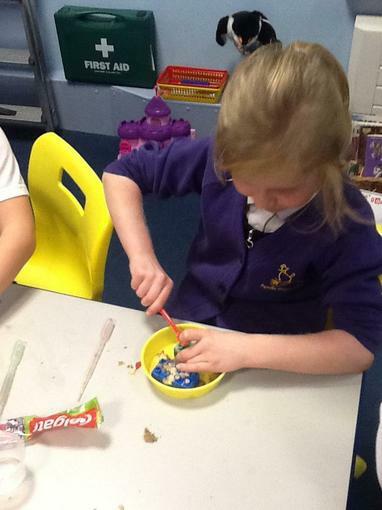 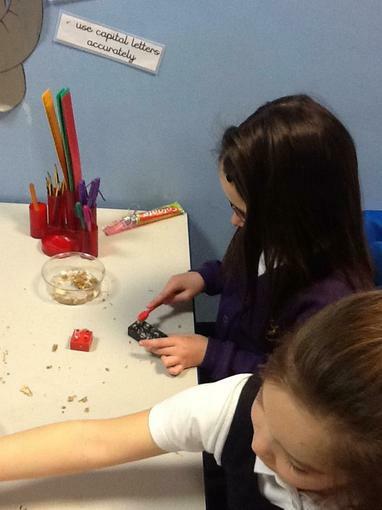 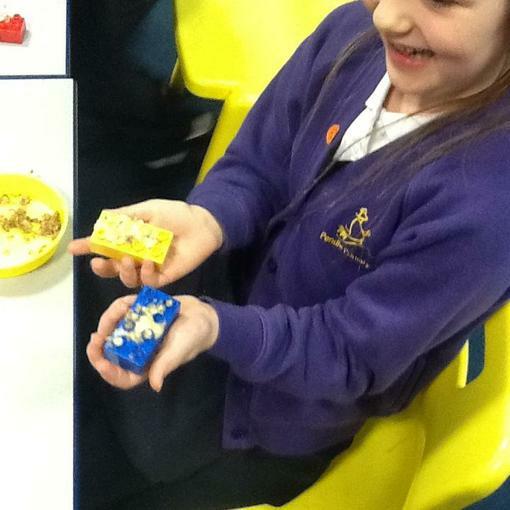 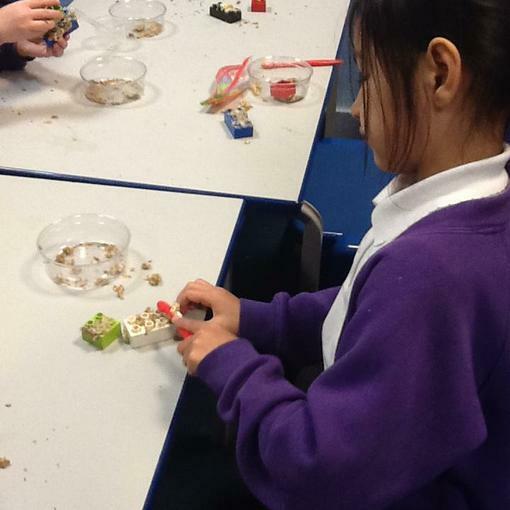 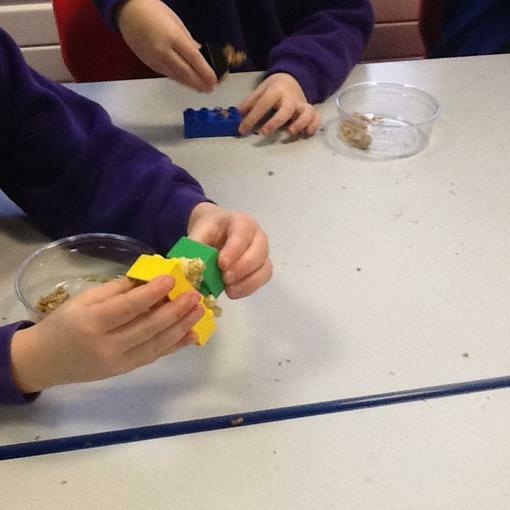 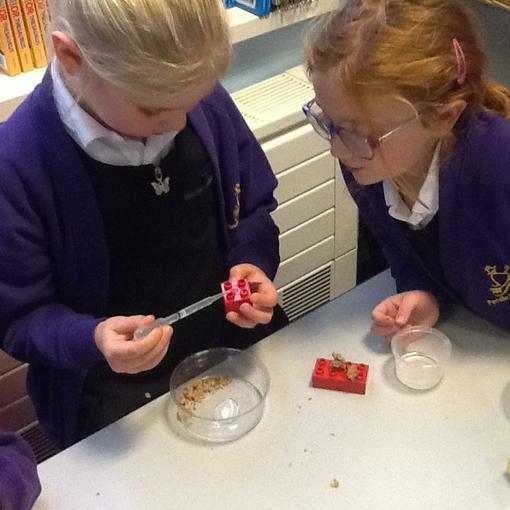 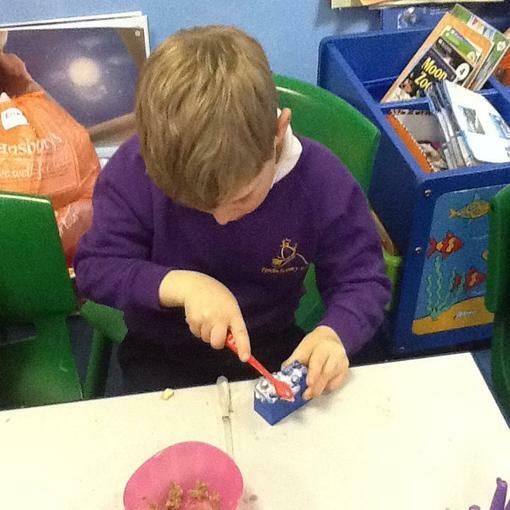 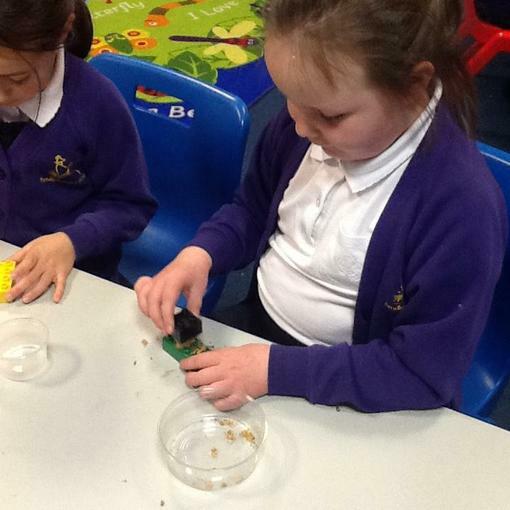 We 'ate' bananas and Weetabix with the brick teeth, we used pipettes do add 'saliva' before we cleaned them with toothpaste and toothbrushes. 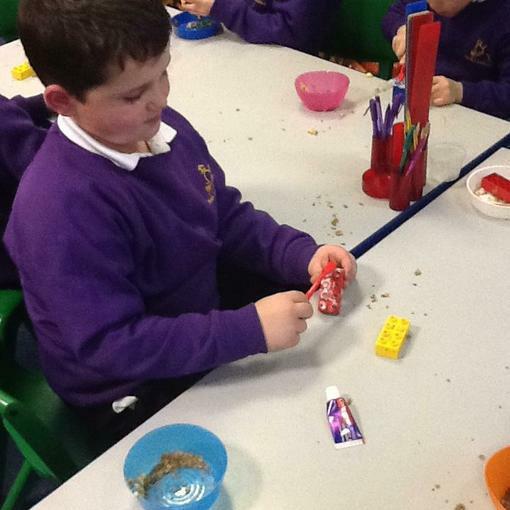 We discovered that food gets stuck in little spaces. 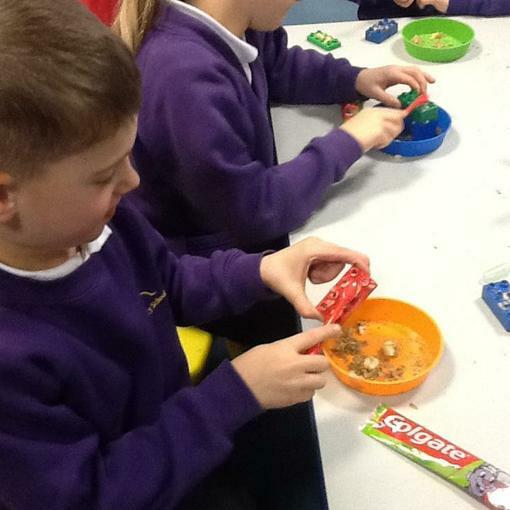 It is easier to clean with toothpaste than without it. 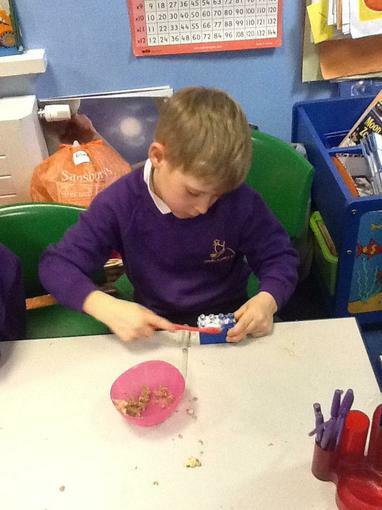 We have taken teeth cleaning charts home to help us remember to brush our teeth twice a day.